It's a serene and peaceful late spring morning in Rocky Mountain National Park. Bierstadt Lake has shed it's icy coat and the vibrant green grasses of June now grow along her shores. 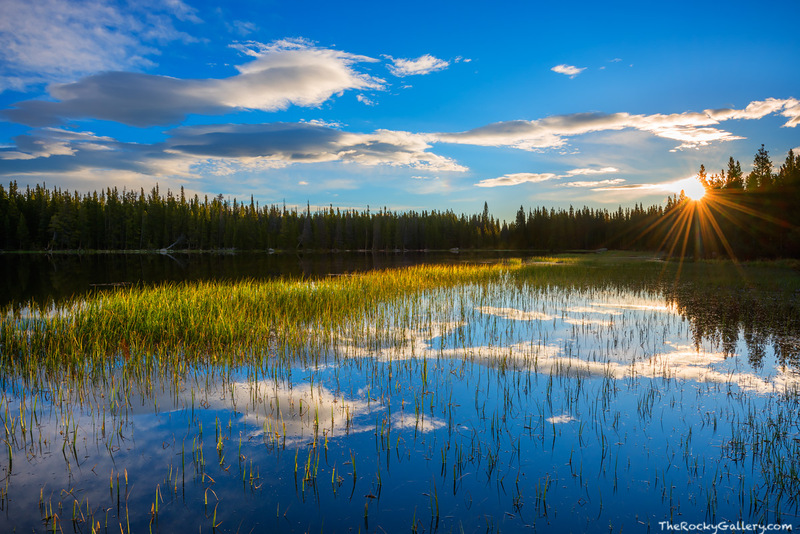 Clouds drift over Rocky as the sun rises above the treeline to the east of Bierstadt Lake illuminating a row of green grass growing on the lake. Photo © copyright by Thomas Mangan.